The MoFang JiaoShi MF3 was released not long ago to a lukewarm reception. It seems rather odd that MoFang JiaoShi would release an updated version so soon afterwards, but here we are. 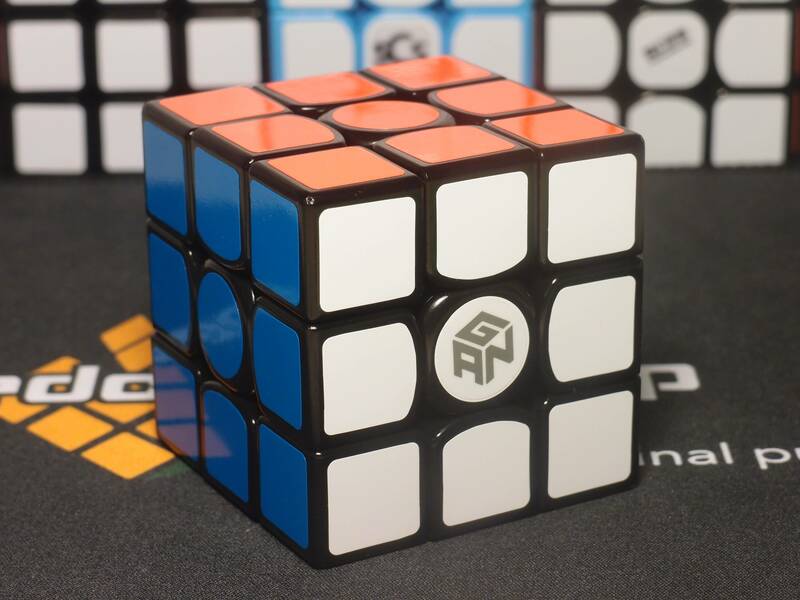 The MF3RS is the new budget 3x3, complete with new higher-end geometry and squared corners. Weighing in at a sturdy 82g, it feels solid and heavy and blocky. It's available in white and black stickered, as well as standard and pink stickerless. There were rumors that this is the updated Mars promised by a few Chinese cube sites. From its feel I can see that - it turns heavily and clackily, but at the same time it's nowhere near as crunchy and slow as the Mars. It's rather smooth and blocky, in fact, as well as very stable. Corner cutting is pushed up to 50 degrees forward and 34 degrees reverse, a noticeable improvement from last year's models. It's still quite a ways off from the full cutting of flagships, but that gap is closing. Notably, the corners have Gans-esque primary unified feet, but the edges don't. It's a pretty high-end feature for such a cheap cube. The retail price is set at $4.95, the most expensive of the bunch. For the price, it's a strong contender and could serve very well as a beginner cube. It wouldn't be inaccurate to call the original Warrior a practically irrelevant cube in this day and age. It wasn't released to any fanfare, wasn't a particularly great cube, and was released more than 2 years ago. QiYi seems to be trying to bring the Warrior name back to relevance with the release of the Warrior W.
The Warrior W is one of QiYi's new "frosted plastic" cubes, first seem on the QiCheng and the QiMing. It weighs 81 grams and feels just as solid as the MF3RS. Stickerless shades on it are a new breed of QiYi stickerless, with brighter, more vibrant colors all around and a new pastel blue. Not a bad look, but you don't get the option of stickered. It turns with a swishy and bumpy feel and is quite fast out of the box. Nothing like the original Warrior, really, which was slow, smooth, and slick. It's more unstable than the MF3RS but is still well within the realm of controllable. Corner cutting is a tad disappointing; forward only reaches up to 48 degrees, which is actually worse than the Sail's. However, reverse cutting is pushed up to 35 degrees, and feels snappier than before. I would actually want to say this cube is a bit of a step back from the Sail, with its slightly decreased corner cutting and more blocky, large geometry and smaller florian holes. However, that is not the strength of the cube. The strength is that the feel is almost immediately enjoyable to myself and everyone I've let try the cube. Given that modern cubes usually have more corner cutting than anyone could ever need (and if they do need it, they may try refining their turning style), this cube's feel makes it a great cube to play around with. Retail is $3.95. Nice and cheap. Well, this wasn't a company I thought would pop up. KungFu, after enjoying some mild success with the QingHong months ago, has broken into the ultrabudget market. The LongYuan is the lightest out of the bunch, at 70g, and feels very square. What I mean by that is that the surface of each cubie is perfectly flush with the next, and the inside edge of each cubie is very sharp. It creates a rather interesting feeling in your hand. The corners are partially squared, jutting out into the Florian hole while not being sharp. Again, it is not available in stickered. Stickerless shades are the old Thunderclap v1 shades, which still has many loyal followers. Turning on this cube, befitting its weight, is very light. It's also smooth and flowy while retaining a bit of tactility, and comes mildly fast out of the box. Forward corner cutting extends to 51 degrees, the highest I've ever seen in a ultrabudget, but reverse cutting suffers at only 29 degrees. 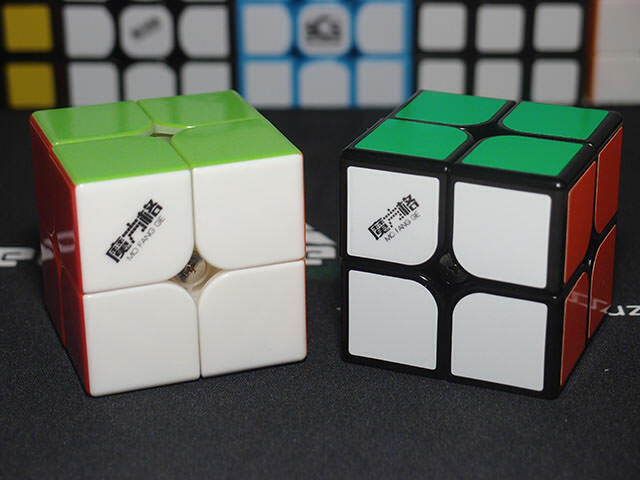 It also corner twists the most easily out of every cube in this comparison. Retail is $3.95 again, just like the Warrior W.
Again, each one of these cubes has its own strengths and downfalls, and this time I can't even rule one out like I could last time. The MF3RS has the most sophisticated technical design, is very difficult to pop or corner twist, and has an excellent balance of forward and reverse cutting. 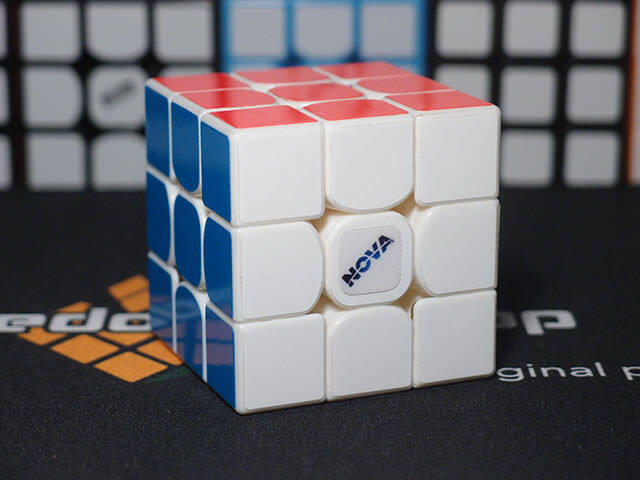 It's the cube that seems most like a "flagship" speedcube to me. Yet at the same time, the Warrior W offers pretty similar corner cutting with a subjectively more enjoyable feel, and despite the shortcoming in reverse cutting I actually like the feel of the LongYuan the most. If you already have 3x3s and know what kind of feel you like, obviously you should go with whichever matches your preferred feel the most. If not, you can't go wrong with any of the three! Ultrabudgets came a long way in the short time since I wrote about them last. 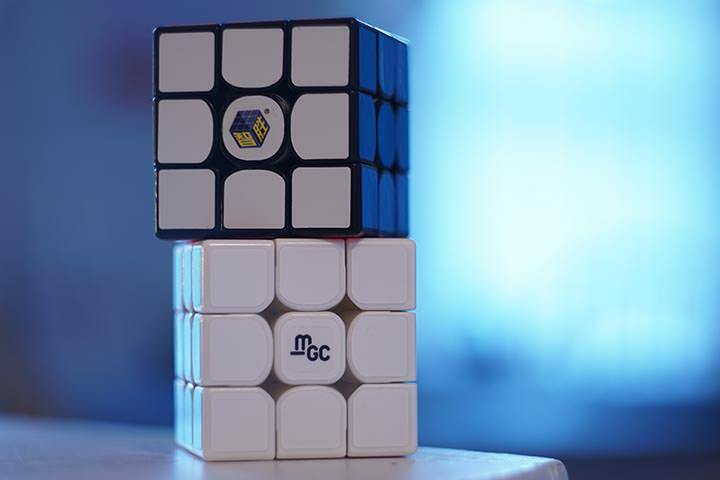 It's an excellent step for the market and will help bring beginners excellent cubes at very affordable prices, as well as push down the prices of even flagships. May they continue to improve far!